Would Old-dele be a more fitting name? For some, the prospect of ageing is daunting. 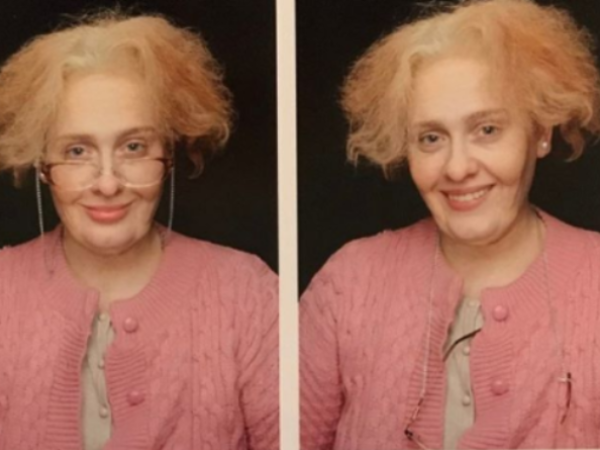 Adele, on the other hand, is taking a hilarious approach. The newly 29-year-old Grammy-winning musician took to Instagram to share pictures of her makeover for her birthday. “Nearly 30! Thanks for the well-wishes. See you soon x,” Adele captioned the post. Her wrinkled skin, frizzy grey hair and glasses racked up more than 1 million ‘likes’ and saw the well-wishes pour in for the beloved soulful star. She may not be far off the big 3-0 mark, but Adele has enjoyed her fair share of success in the music industry. Her hit album 21 recently surpassed Carole King’s Tapestry as having spent the most weeks on the Billboard 200 chart for an album by a woman.